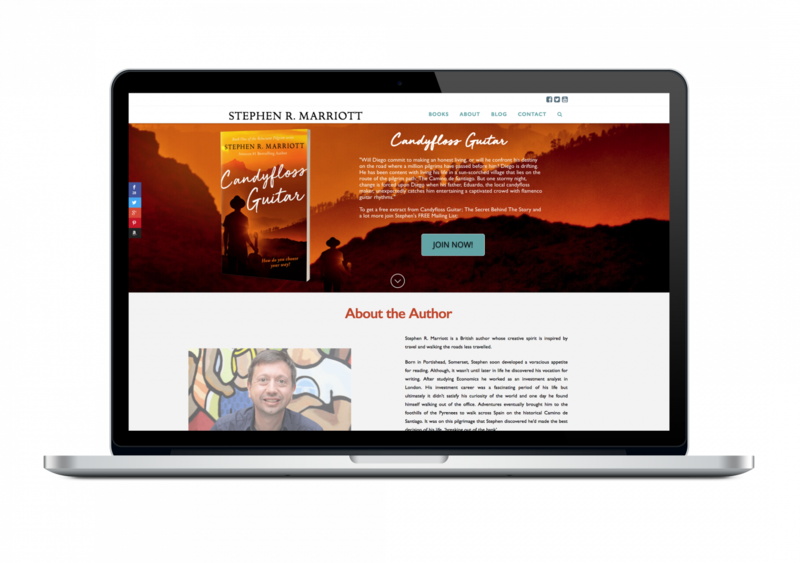 Stephen R. Marriott is an Amazon #1 best selling author who needed a website to promote his books and a marketing funnel to build a mailing list for his future works. We developed a new brand and website based on the book cove, and developed a simple innovative site to give people information about Stephen. It also provides a lead magnet to prompt people to sign up to his authors mailing list. Stephen regularly writes articles and attracts traffic to the site and nearing completion his 2nd book.